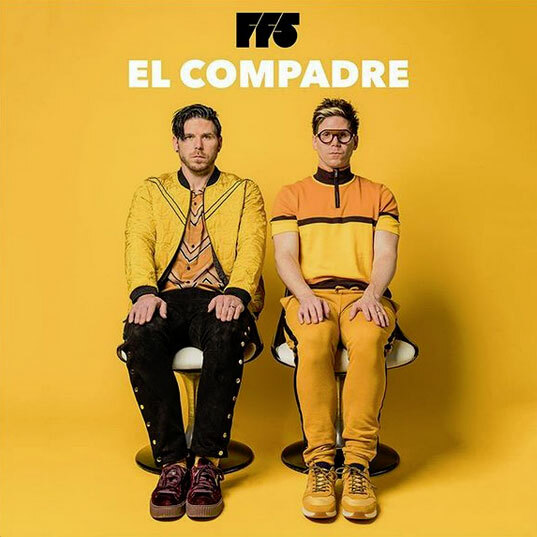 Nashville, Tenn. - Curb Records’ twin brother pop duo FF5 announce the highly anticipated release of their new EP EL COMPADRE on March 2. Fueled by their new single “Fire on the Highway,” available now, the track gives fans a first taste of what to expect from EL COMPADRE. Revved up by an addition to Spotify’s New Music Friday playlist, FOTH garnered over 200K streams in its first 10 days. EL COMPADRE will also feature special bonus track "This Is My Year" Matoma Remix which already has over 6M Spotify streams. Adding to the excitement the duo will head down to Austin, TX for SXSW festivities including a show at The Chuggin’ Monkey on March 14 and more to be announced! Built on powerful melody and brilliantly sculpted beats, new song “Fire on the Highway” redefines the possibilities of pop and shows the strange synergy at the heart of FF5. With its shimmering textures, the song draws from Jacob’s affection for ’80s pop and Joshua’s raw rock-and-roll energy to dream up a hypnotic yet hook-driven sound. Like most of their new material, the synth-laced track was shaped by the band’s belief in following through on the beautiful mistakes that so often occur in the creative process. Check out a behind the scenes look of the making of EL COMPADRE here. FF5 (Family Force 5) is the brainchild of twin brothers Jacob and Joshua Olds: two Atlanta-bred musicians with wildly divergent sensibilities and a shared passion for shattering boundaries. Although the Nashville-based duo have endured much upheaval over the years—label drama, lineup changes—FF5 now return with new music that proves their chemistry to be more potent than ever. For more information on FF5 visit http://ff5music.com/. Connect with them on Facebook, Twitter, Instagram or YouTube. For more info on FF5, visit the JFH Artists Database.